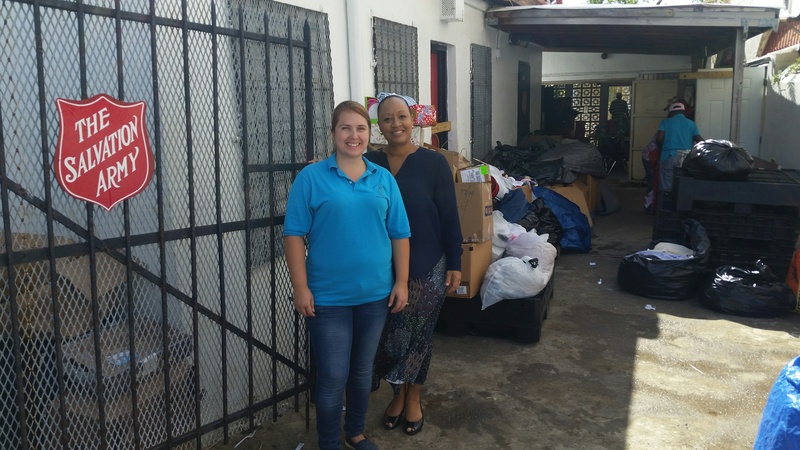 Each year, ICMC stakeholders take the time to offer their assistance to those most in need by donating items to various non-profit organizations across the Territory. Pictured are ICMC Community Relations Director, Karen Nelson-Hughes and Captain Christa Bryan Regional Coordinator USVI Corps Officer St. Thomas Corps. With a number of stakeholders having worked with the organization serving hundreds of Thanksgiving meals to the community this past Thanksgiving, the Salvation Army of St. Thomas’ work was close at heart. Since 1917, The Salvation Army has been providing social and spiritual services to communities throughout the Virgin Islands. People given purpose, hearts given hope and souls finding redemption—this has been their mission for more than a century. Whether it is shelter for a displaced family or a warm cup of coffee for our bravest and finest—hope and healing is the message of The Salvation Army. Today, through over 3,500 service centers in the eastern region of the United States, The Army's spiritual and social services assist millions of homeless, working poor, children, youth, addicted, elderly, and abused families and individuals. For more information about The Salvation Army, please visit The Salvation Army US National web site at www.salvationarmy.org or feel free to give them a call at their St. Thomas location by calling: 1-340-626-1027 or 1-340-514-2128.